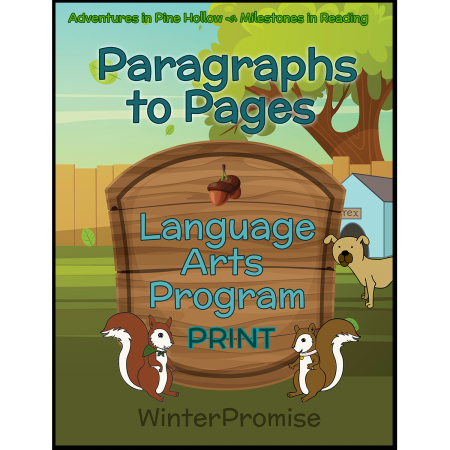 Paragraphs to Pages begins where the instruction in Syllables to Sentences ends. 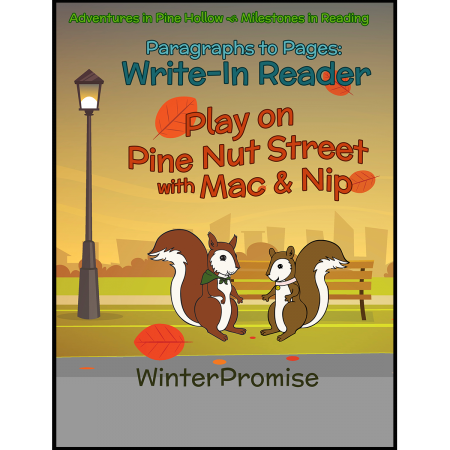 The program allows students to move from reading simple sentences to several paragraphs. Like Syllables to Sentences, this program works similarly in that it is created to be flexible to meet the student where they are. It includes a half-year schedule that works for most students at this stage of reading. 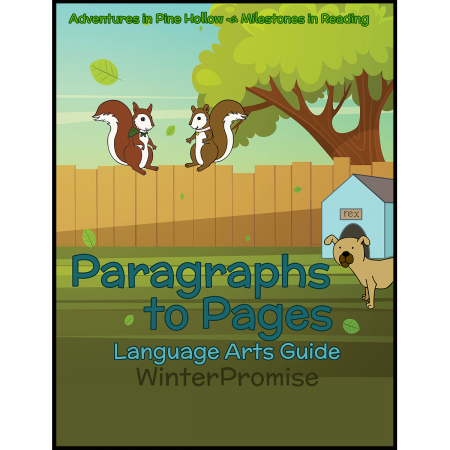 Students that would benefit from a slower, year-long pace can break each day into two halves — reading, comprehension and spelling on one day, with phonics, handwriting, and games on the other. Paragraphs to Pages begins by covering vowels and then moves its focus onto more difficult phonograms, such as qu, dge and wor. This program is the first in our Early Reading Language Arts to use our write-in readers. 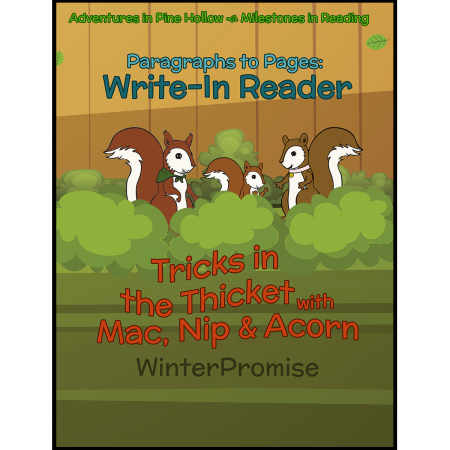 Our write-in readers are unique in that the assignments are all in one place and each week is focused around a specific phonics concept. This is an important distinction between our program and many others, as every resource works together to meet a weekly learning objective. Student reading, reading comprehension, phonics, spelling, and vocabulary learning are all focused around weekly phonetic goals. This thorough and multi-aspect coverage of each phonogram builds strong decoding skills, reading speed, and comprehension. As with all of our programs, learning experiences engage every type of learner: hands-on, visual, auditory, and so on. 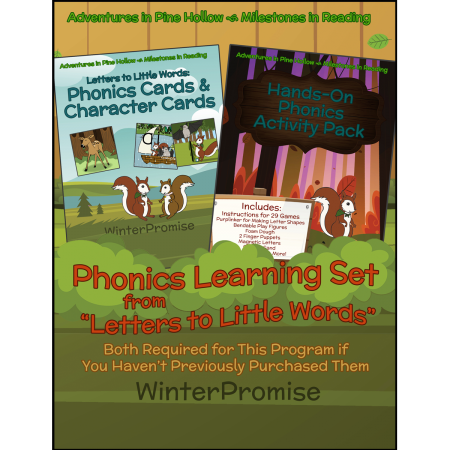 Activities and games are outlined and scheduled in the guide, and activities are also taken from our Hands-On Phonics Pack, a resource also used in Letters to Little Words and Syllables to Sentences.